When the camera comes out, do you hide your smile with a closed-mouth grin? Do you cover your mouth when someone makes you laugh out loud? Do you have trouble chewing or speaking? If you answered yes to any of these questions, it may be time to see what your local Tacoma orthodontist can do for you! Dr. Douglas Knight has been helping children, teens and adults correct their crooked teeth and misaligned jaws for almost 30 years. Whether you are in need of any type of braces, Invisalign, or a more complex orthodontic procedure, Douglas Knight Orthodontics can transform your embarrassment into a beautiful, confident smile you’ll be proud to show off. Orthodontic Problems Can Be Fixed By Dr. Douglas Knight! At Douglas Knight Orthodontics, no orthodontic challenge is too large or small for our team of highly skilled professionals. You should see an orthodontist whenever you have a question or are concerned about how your teeth are aligned or how your upper and lower teeth meet when you bite down. Sometimes, you will know right away that you need to see an orthodontist. For example, you may have difficulty biting, chewing or speaking, or some of your teeth may be clearly protruding, crowded or misplaced. An orthodontist has the special skills and training needed to diagnose and treat the problem. Other conditions may not be as clear cut. Mouth breathing, clenching or grinding your teeth, and the inability to comfortably close your lips may be signs that orthodontic treatment is needed. Teeth that meet abnormally can even cause a facial imbalance (asymmetry), meaning that some facial features aren't in proportion with others. This is a problem that can often be corrected by orthodontic treatment. After an initial, free evaluation with Dr. Knight, he’ll determine the best options for your oral health and cosmetic appearance and prepare a treatment plan specific to your needs and desires. Orthodontics For Children - How Early Is Too Early? You lost your baby teeth early. The time between when your baby teeth fell out and your permanent teeth emerged could impact the way those permanent teeth grow and develop. Your teeth are crowded or crooked. This the basis for why most children see an orthodontist. With braces or Invisalign clear aligners, Dr. Knight can transform your teeth into a dazzling smile. Your jaw pops when you chew. This shifting of your jaw can represent a developmental issue with your child’s teeth and jawline and orthodontic treatment may be able to help. The jaw is recessed or protruding. Dr. Knight is an expert at correcting your bite so that your child’s top teeth and bottom teeth meet perfectly. This can impact the way you eat and speak. You bite your cheeks. If your child is constantly biting the sides of their cheek, this could mean that their teeth are not properly aligned. Braces or Invisalign can move the jaw back into alignment, correcting an underbite or overbite. You can’t chew your food. Clearly, orthodontic treatment is not just for the cosmetic beauty of having a great smile. When your teeth are not properly aligned, many children have difficulty chewing their food, which can result in serious nutrition and health issues. You’re a mouth-breather. 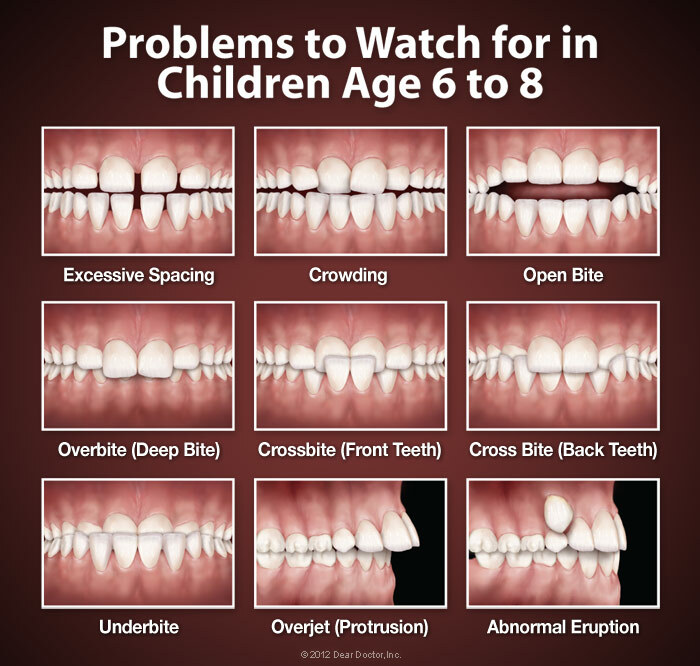 If your child breathes through his or her mouth often, orthodontic treatment may be able to help. The team at Douglas Knight Orthodontics has vast experience treating children and adolescents. While the ideal age for your child to see Dr. Knight for the first time is 7-years-old, he may not begin treatment on certain children until they are 9 to 14 years of age. However, after the first visit, Dr. Knight will have a chance to closely monitor their growth to determine the best time to begin orthodontic treatment, if it is needed at all. Whether it’s because of seeing their child’s amazing transformation with braces, or a nagging physical challenge, it is becoming increasingly common for adults to seek orthodontic treatment from Dr. Knight and wear braces and other orthodontic devices. Orthodontics isn’t just for kids anymore. According to the AAO, around one in five orthodontic patients, today is an adult. Why are more adults getting orthodontic treatment? There are plenty of reasons. Invisible alternatives. With the growing availability of clear aligners, translucent ceramic brackets, and lingual braces, it's getting harder to tell whether or not you're wearing orthodontic appliances. So if you worry that adult metal braces might clash with your professional image, be sure to ask Dr. Knight about our less-visible alternatives! 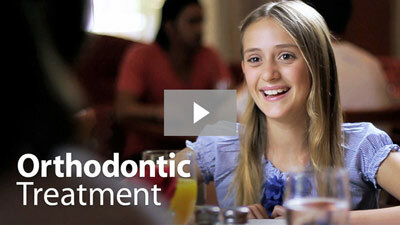 Watch Adult Orthodontics Video. Physical Improvements. Orthodontics isn’t always for cosmetic good looks. Some adults have battled speech impediments or chewing difficulties for a lifetime. These issues can often be solved with orthodontic treatment like braces, Invisalign or even adult jaw surgery. Dr. Knight can evaluate your individual situation and recommend the best treatment. Good oral health. A better bite helps your teeth stay healthy. Straight teeth are easier to clean and maintain, and less subject to abnormal wear. And healthy teeth can last a lifetime. So why delay getting orthodontic treatment? It’s just their time to shine. Many adults, after devoting most of their lives and money to their children, are discovering the freedom and desire to spend some time and money on improving themselves. Creating a new, confident smile you deserve is just one of the things adults are turning to for some much-deserved self-improvement! Discover Your New Smile At Your Tacoma Orthodontist! Whether you are in need of metal braces, clear braces, Invisalign, or a more comprehensive orthodontic treatment like jaw surgery, you’ll find that Douglas Knight Orthodontics is the best choice in the Tacoma area. Don’t delay your free evaluation for your child or yourself! Call our Tacoma office today at (253) 627-5550 to schedule your initial examination. Our orthodontic team can’t wait to meet you and your child and get you started on the path to a new, beautiful smile and great oral health!